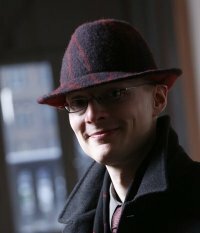 Today’s guest blogger is Oskari Nokso-Koivisto, artistic director, FinderBase. For last few days I have been in Urbania in Italy. Urbania is a town with 7000 inhabitants. Weather is nice, food and wine are excellent and people are relaxed. At least so far it seems that stereotypes about a small Italian town are a reality here. My reason to be here is to study Italian opera. We have 18 singers rehearsing for example parts of Cosi fan Tutte, Il Barbiere di Siviglia and Simon Boccanegra. To sing Italian opera, you have to be familiar with the Italian culture as well. An amazing quality in Urbania is, that even as I have walked quite lot, I haven’t seen a single lost item. My guess is that if a community is small enough to be able to communicate efficiently about lost items in traditional ways. Everyone basically knows everything important all the time. Of course taking advantage of that kind of communicaton is not easy for visitors who are not part of the community. The problem of lost items must have begun at the same time when the idea of ownership came into existence. In the small communities the problem can be solved in the ways it seems to be done in Urbania. However, the world has changed and is still changing in a fast pace. Towns and cities are growing. Most of the world population is living in environments, where it is impossible to know everything. In those environments we need innovations to solve the communication problems. In July I will be in Rome, home of 3.5 million people. My guess is, that the lost item problem in Rome is not solved as well as it is here in Urbania. There will be work for FinderBase to do, I presume.